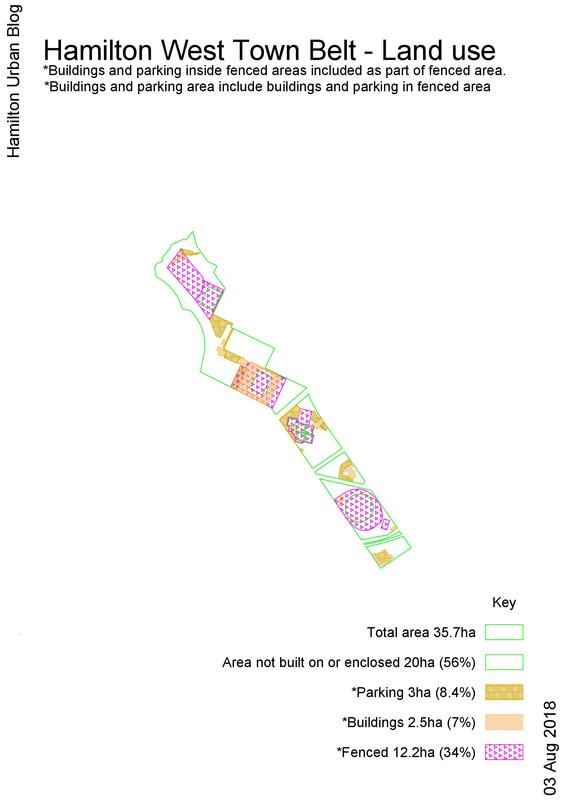 The green belt this post is looking at is about 35 hectares in total; I’ve measured 56% as not built on or enclosed. 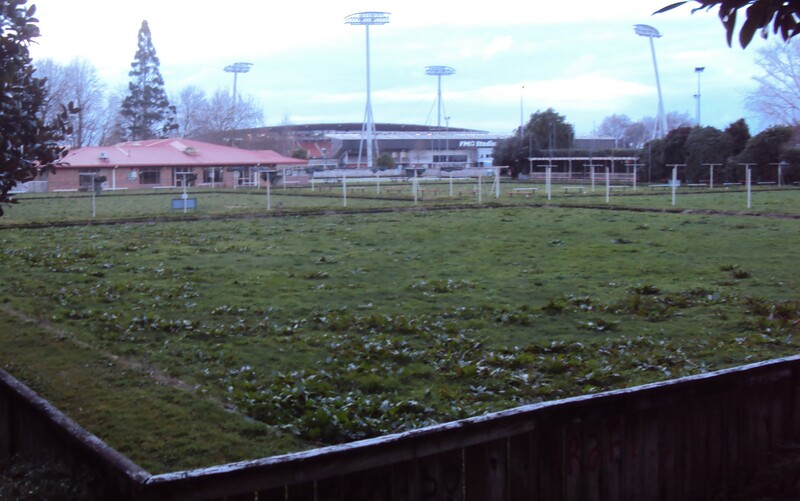 A third is enclosed/fenced, mostly for rugby (5 ha), followed by cricket (3.5 ha), golf (2.2 ha), bowls (1.1 ha), and tennis (0.4 ha). These uses do fit the description of “on proper conditions of rent and regulations, to establish all manner … of harmless amusement”. Sealed car parking areas (3 ha or 8%) don’t fit the “we would lay out as park and pleasure-ground scenery … natural-looking scenes”. Sadly, parking areas are irresistible to people who travel primarily by car and are involved in decision making, but they are not good for “plants, trees, shrubs which would grow in the open air”. To finish I’ll have a short rant. Every new enclosure within the green belt involves the infringement of somebody’s personal liberty, in a reverse way. Here it’s not entirely a question of taking something away from the public. Having paid events and organised sports is good for the city. But the risk to open spaces reappears in the form of ‘fouling our nest’ by needing to pipe away run-off because of large impervious surfaces, starving trees of water, and also creating delays in returning under-used fenced spaces to open public use. The point of this post is to show a weak link between design speed and posted speed, and to illustrate that the optimum posted speed limit is set more by leaders than engineers. A 5 km/h speed sign is what one sees when entering the car-park at Te Rapa PlaceMakers, while entering Bunnings car-park the speed is assumed to be 50 km/h. They are similar car-park designs, types of business and client types. 15 km/h is the speed at Countdown supermarkets, unless you shop at Countdown Liverpool St, which is 10km/h. There are no engineering, design, franchise or user differences. What makes things different is the managers’ thinking about the level of risk and what is a ‘reasonably practicable’ speed to reduce the risk of harm. 20km/h is a benchmark speed. The AustRoads safety team, which led the Grey St safety improvement plan, mentions that speeds of around 20 km/h are used to avoid serious injury. 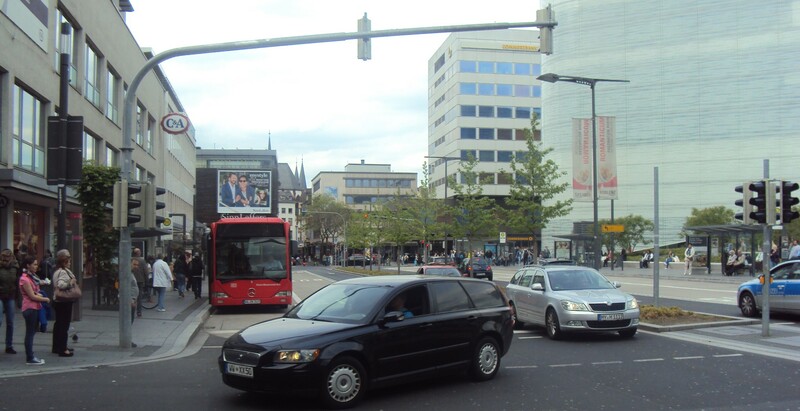 A 20km/h limit is used in the German city of Koblenz for its city centre streets. The road use in central Koblenz isn’t different to Hamilton’s Barton St (30km/h) or Victoria St (50km/h between Bryce St and London St); only the risk of serious harm from speed is different. 30km/h is now what 50km/h was last century. Most urban areas in Europe use 30km/h as a default speed. There is a good reason: “for a speed choice of 30 km/h instead of 50 km/h, the estimated reduction in fatal crash risk is 95%” (from the AustRoads safety team that led the Grey St safety improvement plan). Even the Chief Executive of AA advocates for 30km/h speed limits. 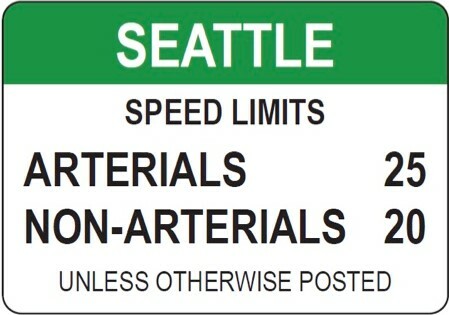 In Seattle, the speed limit on all residential (non-arterial) streets is 20 mph [30km/h], and the speed limit on arterials is 25 mph [40km/h], unless otherwise posted. 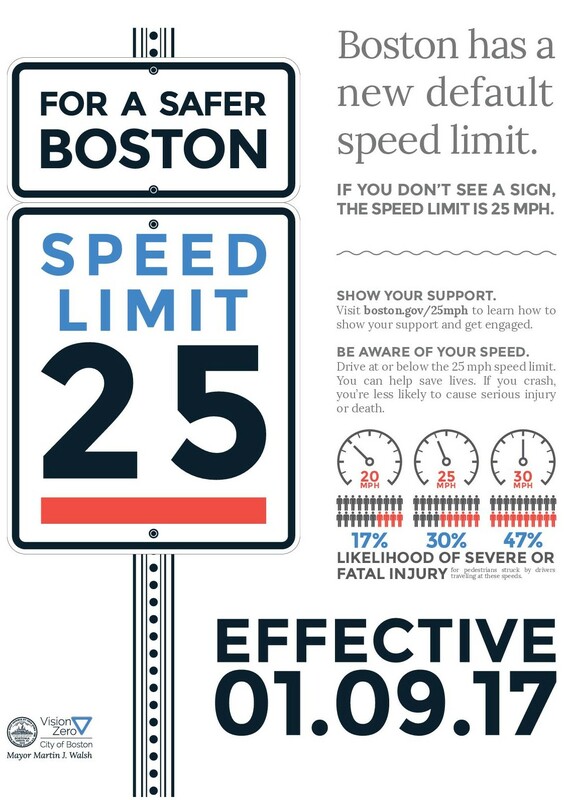 Speed is the critical factor in the severity and frequency of crashes. Learn more about why Seattle lowered speed limits in 2016. 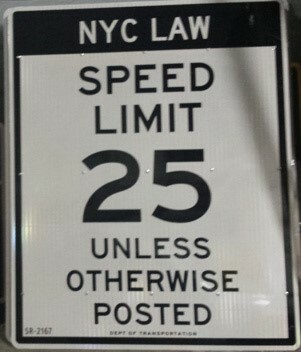 50km/h is a misused speed in urban areas. It is seen to be an efficient speed for journeys that involve moving a very large number of motor vehicles along a single lane. The problem is that cities are made up of places, where people walk from homes or car-parks to socialise face-to-face, to shop, to go to school, or many other day-to-day activities, all of which involve crossing roads as pedestrians. A pedestrian will be almost always seriously harmed, and in fact has a 50% chance of being killed in a conflict with a person driving a car travelling at 50km/h. Never mind who makes the mistake, the pedestrian is always the victim.